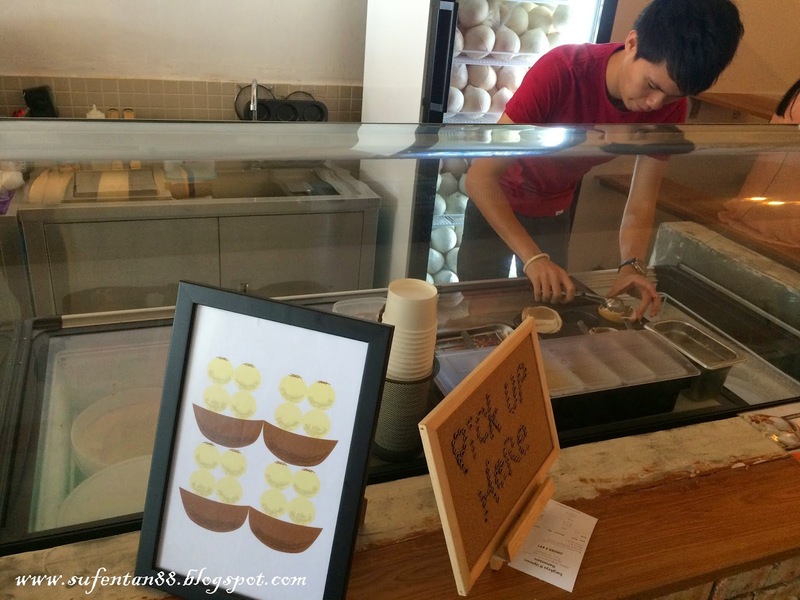 This place was introduced by my colleague as we both love the coconut ice-cream in Bangkok. 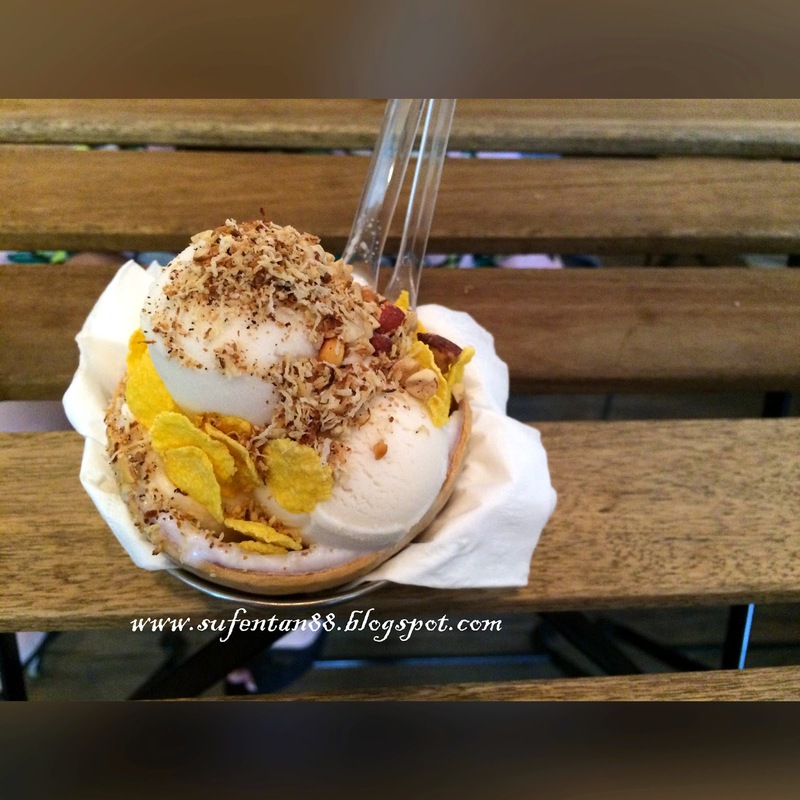 Coconut Ice-cream is one of the famous street treat in Chatuchak market. I personally love it very much when I first try it in Bangkok. Now, it is so near to my office when I can have it everyday without travelling to Bangkok. 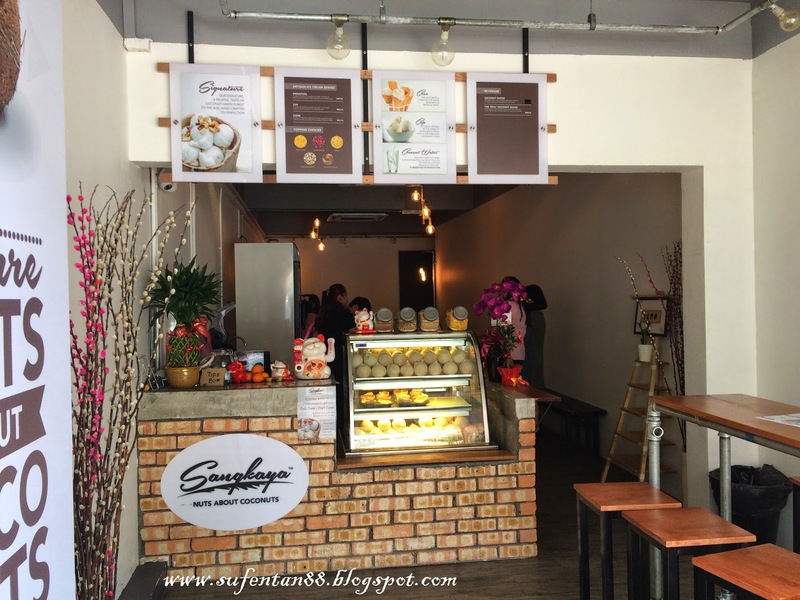 Sangkaya is located same row as the Library cafe. 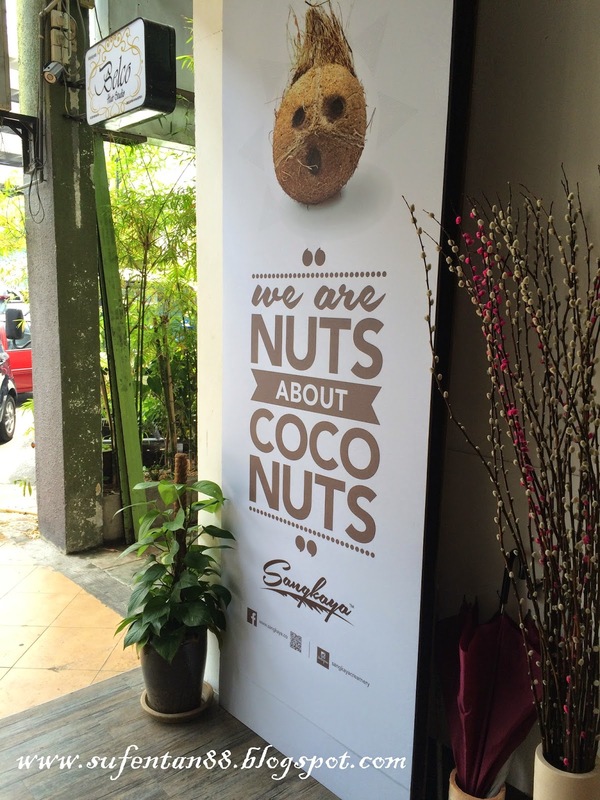 They serve everything from coconut. 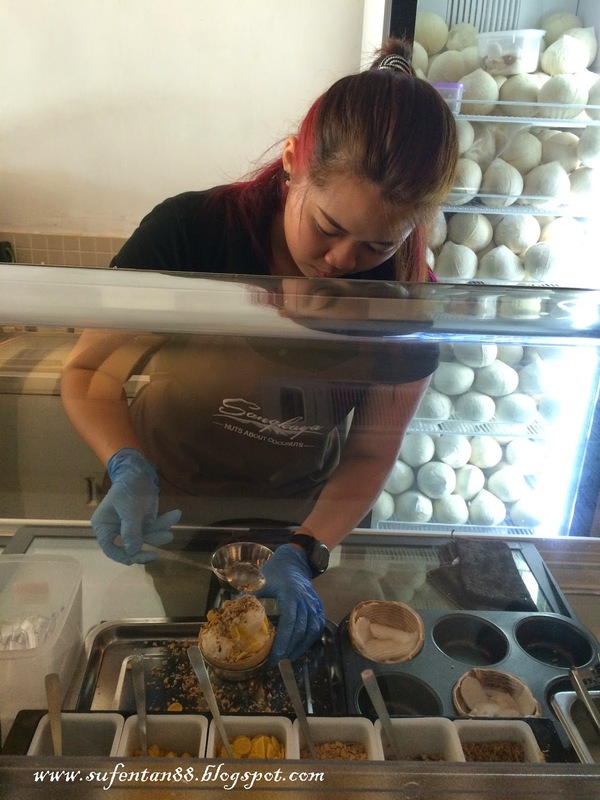 The nice thing about here is you are able to choose the toppings according to your liking on your coconut ice-cream. The menu is limited, basically only 4 items available. 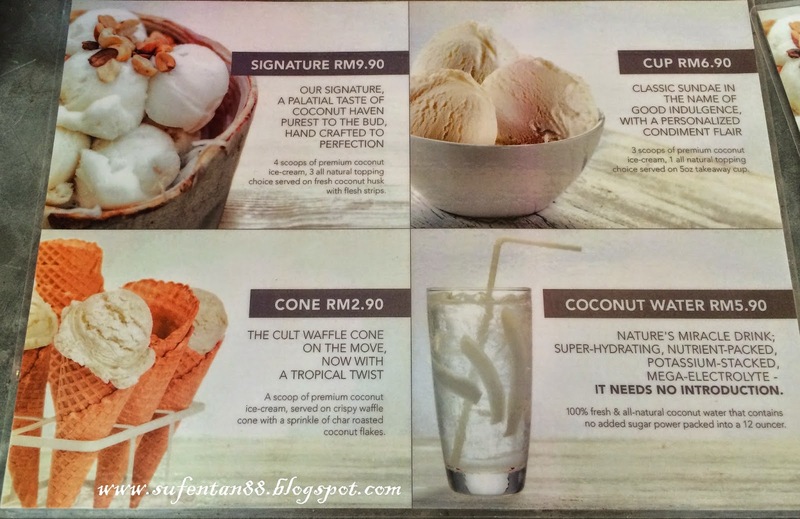 Their SIGNATURE comes with 4 scoops of ice-cream, 3 toppings and coconut flesh served on coconut husk. While their CUP comes only with 3 scoops of icre-cream & 1 topping. You can also order just a scoop of ice-cream on the cone or the coconut water. 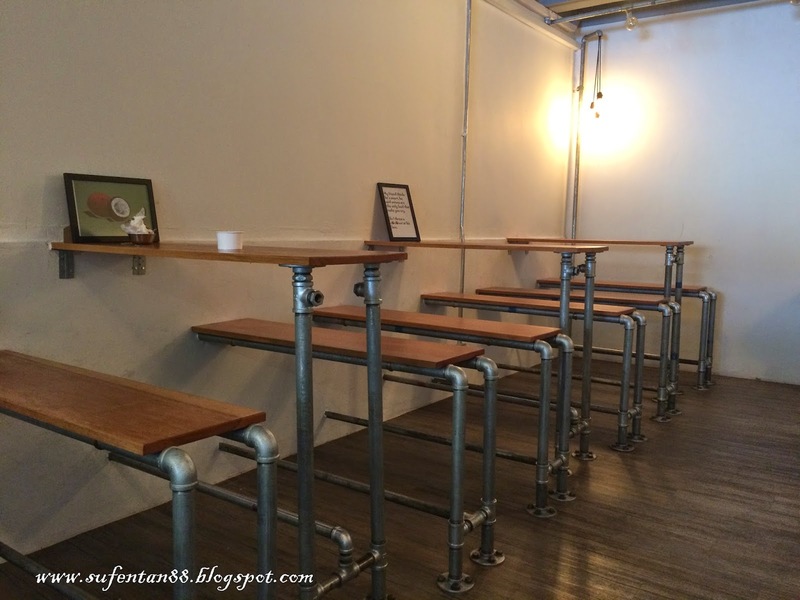 The layout of the cafe, unique set up using the pipes as the stand for the chairs and tables. 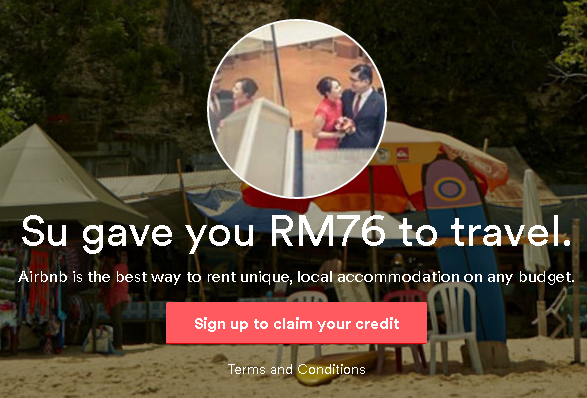 I ordered their SIGNATURE that cost RM 9.90, a bit pricey compare to Bangkok price. I added the cone flakes, dry coconut flakes & roasted peanuts for the toppings. Taste wise was not bad, the coconut flavour in the ice-cream was stronger than the one I tasted in Bangkok. I personally still prefer mild coconut taste that is more like sorbet kind of texture compare to creamy ice-cream. The downside of it is the coconut husk is too small, quite a mess when trying to scoop the ice-cream out.